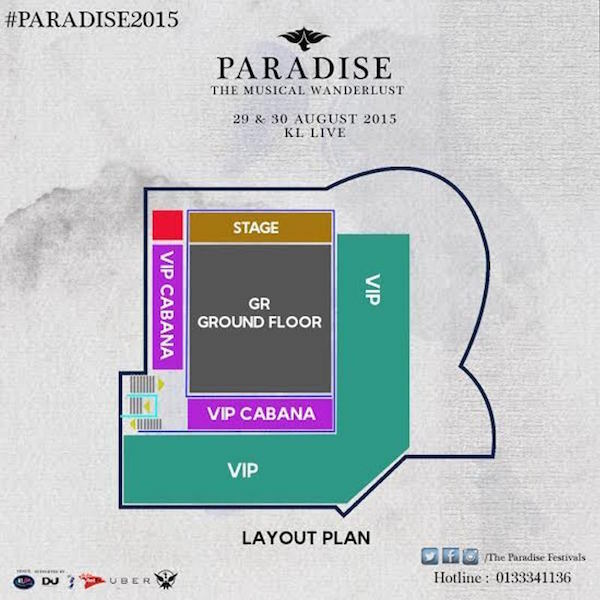 Paradise – The Musical Wanderlust 2015 | Calling all passionate music lovers! 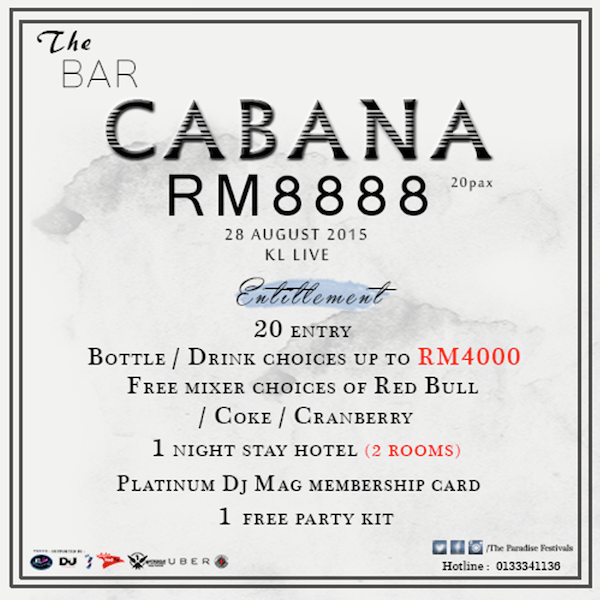 Switch your rave mode-on and get ready for 48 hours of world’s top electronic dance music extravaganza, first time in Kuala Lumpur on 28 & 29 August 2015. 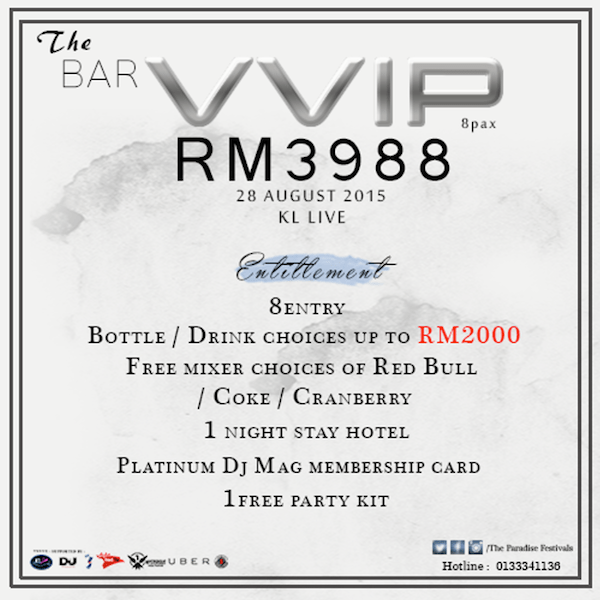 PARADISE presents “The Musical Wanderlust”, a back-to-back large-scale white-themed dance party comes in the full-flavour of both local and international headliners. 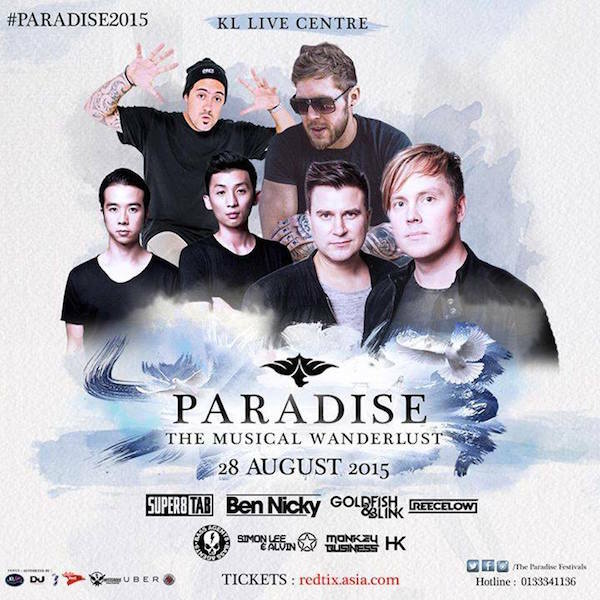 Proudly organised by Paradise Event Management, this electronic dance music festival will be held at KL Live, Kuala Lumpur with the first act to start at 6pm. 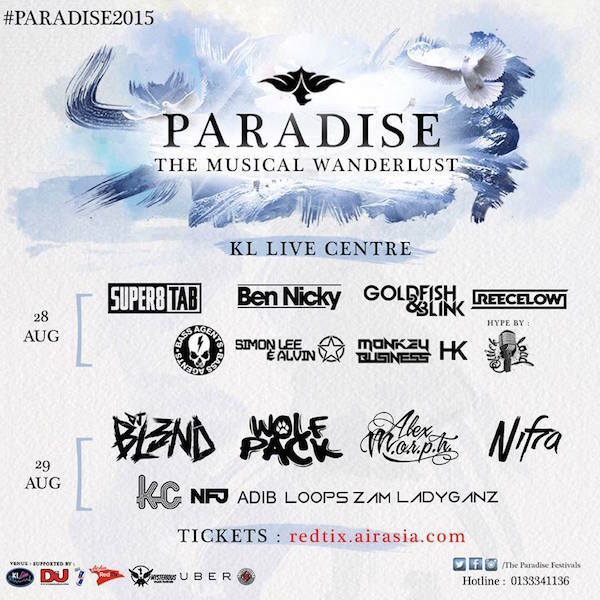 PARADISE THE MUSICAL WANDERLUST features local favourites like Goldfish & Blink to compliment the very special appearances of DJ BL3ND (#78 DJMag) from Mexico and Wolfpack (#84 DJMag) from Belgium respectively. In addition of assembling our local young talent pool and relevant players in the electronic dance music landscape today, PARADISE acts as a catalyst of pushing the standards of the local entertainment industry onto a new height. PARADISE defines its vision as a home-grown product to be recognized worldwide. Featuring supreme DJs like Simon Lee & Alvin (local) and John Askew (international) in support of the “Set For Peace” campaign worldwide, PARADISE THE MUSICAL WANDERLUST is expected to gather over 2000 music lovers from all over Malaysia, Singapore, Indonesia, Philippines and other countries in the span of 2 days, due to its strategic dates that is well-aligned with nationwide holiday eve celebration. Powered by our main business partner, Red Bull, this festival should be able to attract international audience in line with Tourism Malaysia’s vision, “Visit Malaysia 2015”. More business partners include Air Asia Red Tix, UBER, and DJ Mag Asean, all geared up and ready to make PARADISE THE MUSICAL WANDERLUST, an unforgettable journey.